GST is becoming more intense and pressure getting nearer ahead towards April 2015. This mostly due to how Custom organize their seminars / talks / tv / advertisement throughout the whole nations. Failure to comply, would be expecting some penalty waiting ahead which is late registration of GST and the late payment of GST. 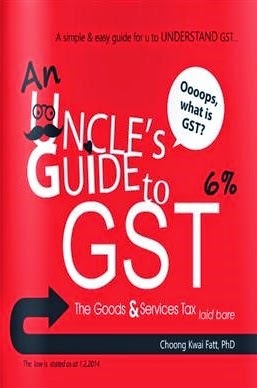 I personally recommend 'An Uncle's Guide to GST' book published by Choong Kwai Fatt, explains the concepts and mechanism of the GST and unlocks the complexity and technicalities of Malaysia GST's Model. It's a basic understanding to cover the important parts of GST. h) Large Taxpayer Unit (LTU) Audit - ensure their full compliance to GST legislations. in which we all would expect there would be some audit carry on time to time, from the day of register, on-going process until cancellation of GST registration. So there is no "chinchai" or "simply" documentation without final consult with custom. 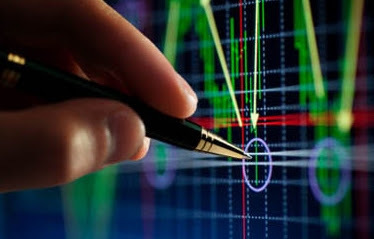 Performing an accounting work no longer a delay work, but to rush all the supplier invoices / credit note / debit note and as well as to invoice / credit note / debit note to customer at a timely manner. 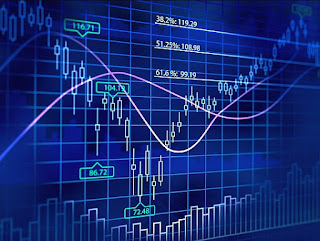 Business owners or any directors which has at least 20% of the ordinary shares is liable for the payment of tax due and payable by the company, any problem with that the income tax would put you on hold for travel overseas. The travel status is found from the income tax website. As seems custom does not really mention that there is no more modification is allowed after submit of GST report. Everyone should be looking for GST compliance software now and that software is able to record any adjustment done to the accounts - "Audit trail" this is the term used. Internal Control such as password, security and locking transaction after submission is needed to avoid unnecessarily queries from Custom. Well through the end of the financial year, the figure going towards custom has to be reflected into financial statement for the income tax. As for the ICT part of the implementation, custom only mention about deadline for the submission GST. But in operation, the ICT section has to be in a working condition for a long time, such as breaking down of PC/Server/Virus attack would probably delay the submission, before it happens, ICT section has to be well-planned such as who you are looking for. During the implementation of GST on April 2015, there would be also a completing 2014 accounts during the same period. Therefore 2014 is a year for planning and execution. Preferably no Back Log account should take place during GST implementation of 2015. Below is some guideline for those involve in the business and accounting work. I do offer services below, but a brief understanding between the services and the condition of the companies is needed.